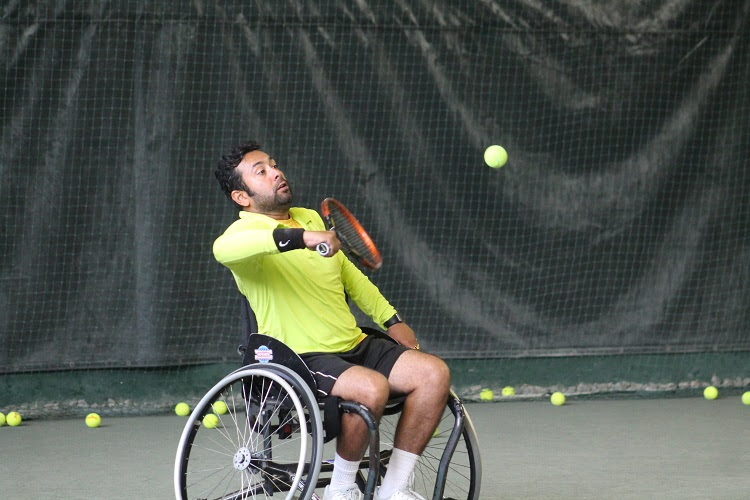 A week before the best wheelchair tennis players competed in the annual Jana Hunsaker Memorial Tournament at the USTA Billie Jean King National Tennis Center, some of the tournament’s participants took part in a Wheelchair Tennis Exhibition at Old Westbury Golf and Country Club. The event gave the club’s members and their children and opportunity to watch the athletes as they competed in drills and match play. 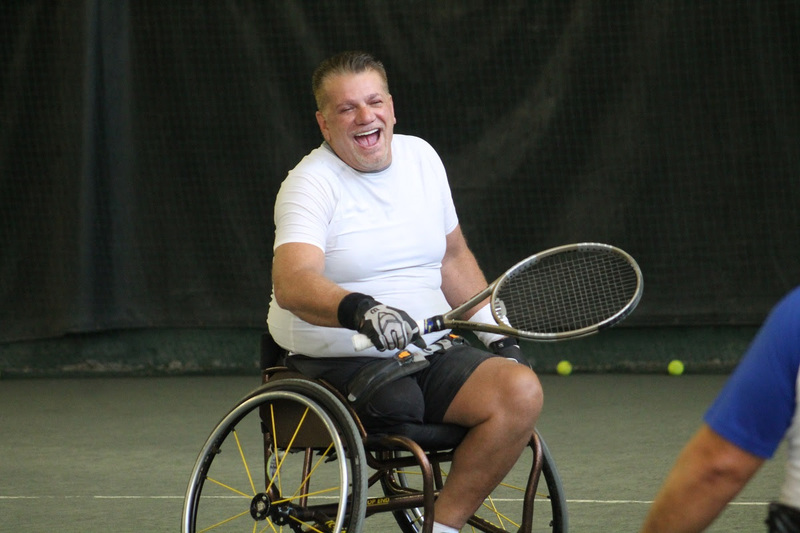 The event was put together by Old Westbury CC’s Head Tennis Pro Ron Kahn in conjunction with the Wheelchair Sports Federation. 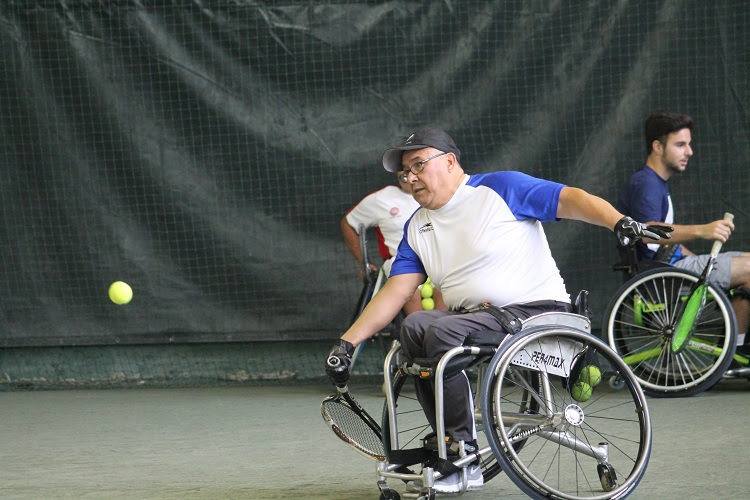 The tennis pros from the club as well as the event’s spectators also got the chance to try their hand at wheelchair tennis. Many of them suited up in the chairs to get a first-hand perspective on the amount of work, effort and skill it takes to move around the court and compete in the sport. Following the on-court play, the spectators got the chance to take part in a Q&A with the wheelchair players to learn more about them and their backgrounds. “The wheelchair athletes shared their stories to the members which were compelling and inspirational,” added Carter. 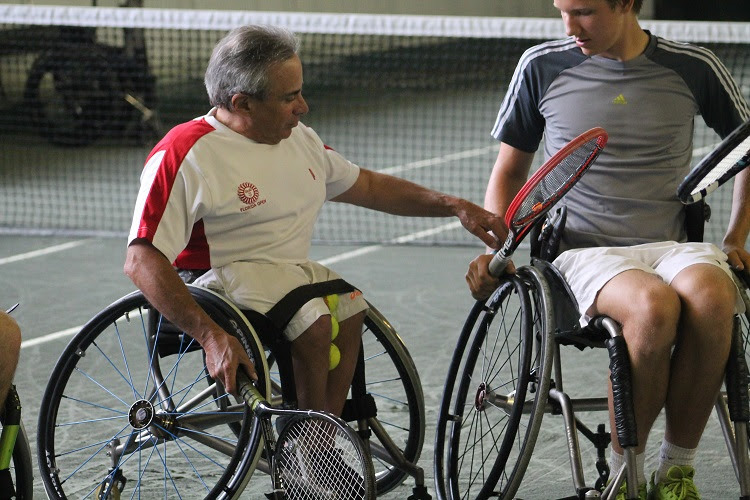 “For our coaches who took to the wheelchairs and attempted to play tennis, all found the challenge to be quite humbling. Thanks to Donna Bernstein and the Old Westbury Golf and Country Club for inviting our local Adaptive Athletes to demonstrate the exciting sport of Wheelchair Tennis to their members on Sunday June 3rd, 2018.